ntroduction: If you are an executive of a company, an owner or principal of a small business, or an individual entrepreneur who envisions their company at a significantly higher level of growth and profitability, it is imperative you engage an experienced consultant who not only shares your vision, but who can also provide the innovative strategies and the momentum to rapidly evolve the business to that desired level. 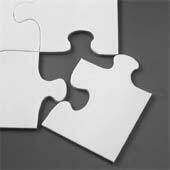 Some consultants have an expertise in Marketing, some in Finance, and some in Manufacturing Processes. Jaguar Consulting has an expertise in Business Development! And, Business Development transcends all other individual disciplines. With the integration of both "Top Line" and "Bottom Line" strategies, we provide practical, cost-effective solutions that complete the "Puzzle", rather than just providing only a small "Piece of the Puzzle" that the typical one-dimensional consultant offers. urnaround Management: For various reasons, companies sometimes find themselves in a temporary situation where the business is not performing at an optimum level or, even worse, has experienced financial deterioration as a result of an economic downturn, market shifts, insufficient working capital, eroding margins or operating losses. In these situations, turnaround management strategies must be implemented immediately to prevent further deterioration, and, more importantly, to start the recovery process for quickly returning to profitability. Jaguar Consulting can help. An assessment is first conducted to determine optimum strategies for concurrently growing revenue and reducing costs. Next, a turnaround management plan is developed that includes cost reduction and financial controls, managing cash and other assets, and improving or eliminating product lines or business units. Additionally, all non productive administrative processes and activities are identified and eliminated. In parallel with cost reductions, high revenue generating and high margin products and services strategies are implemented. We can function in either the role of an Interim Manager to assume responsibility for managing the turnaround or as a consultant to guide you and your senior managers through the turnaround process. nterim Management: On a temporary basis, becoming an active member of your management team that may include an interim management position, an advisor role to a senior executive, a retainer that includes scheduled periodic review and strategy sessions, or serving as a member of your Board of Directors or Management Advisory Committee. arketing: With a focus on the pre-eminent strategy of Business Development, conduct a marketing audit to identify alternative marketing strategies and techniques. Develop a Marketing Plan for implementing short or long term marketing, sales and business development strategies and techniques. Develop innovative strategies for market and product differentiation resulting in higher sales revenue, increased market penetration and more favorable positioning with your customers and prospects. inance: With a focus on the pre-eminent strategy of Business Development, perform cash flow analysis and financial planning, develop financial projections, develop a budget, break-even analysis, ROI of investments, cost reduction, asset management of cash, inventory, accounts receivable & capital assets, loan proposals, debt re-structuring, and business valuations of small businesses. usiness Development Checklists: With the business development checklists, you can easily access and apply the knowledge of a skilled, experienced consultant to help you grow your business for less than $100.00! The checklists provide you with a comprehensive "Do it yourself" consulting and business assessment process. At your leisure and in your office, your home, and even while traveling, you can now conduct a thorough assessment of your operations. In every business, opportunities abound for improvement - increasing revenue, improving customer relations, and reducing costs are the three critical elements for sustaining long-term profitability. The time invested in conducting this business assessment will pay you large dividends in the form of operational efficiencies and profitability and, importantly, will help you identify key tactics and strategies for evolving your business to the next level of growth and profitability. Do it yourself - and reap the rewards! If needed, the checklists can be supplemented with periodic guidance from Jaguar Consulting to ensure maximum results. ypes of Businesses We Advise: We enjoy advising the full gamut of businesses ranging from large national companies through small businesses and individual entrepreneurs that compete in a broad spectrum of industries. Flexible pricing and payment options are considered based upon the market opportunity, the financial condition of your company, and the magnitude of the consulting project - we are committed to being your "partner" and to achieving Bottom Line results! 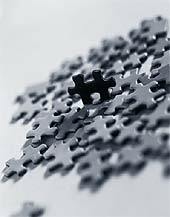 Jaguar Consulting will provide the "piece of the puzzle" to help move your company to the next level of growth and profitability!